Many here in Loreto Bay (and Loreto) will know Pedro Lopez from his successful Porto Bello restaurant just a few miles south down Highway 1. 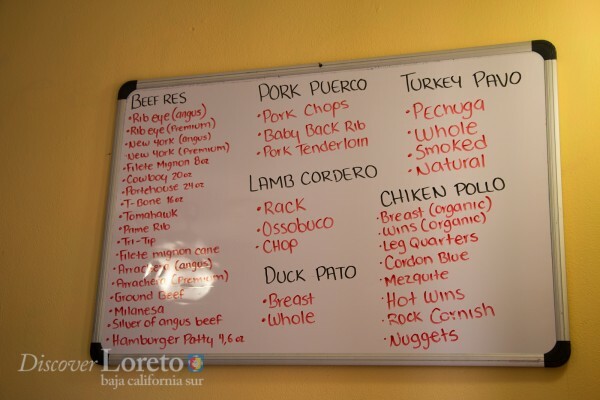 Local Loreto entrepreneur Pedro Lopez likes to describe his business as taking it day-by-day, or, as he likes to remind those that visit one of his businesses “Poco a poco” (little by little). Though he could be describing his grocery shop’s expansion into this resort, it could also be used to describe the overall mood these days in Loreto Bay. 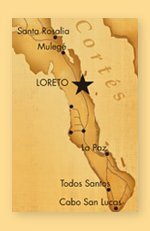 Little by little, the resort that sits next to the Sea of Cortez about twenty minutes south of the fishing village of Loreto, has seen its fortunes, despite numerous bumps along the way, slowly rise. In 2008, the real estate recession hit hard. Rebar was left sticking out of the grounds. Home owners abandoned properties. Some six years later and it’s astounding for someone like me, who rode the ups-and-downs since a sales visit here in 2006, to see what a hardened, wisened group of home owners can achieve when working together. 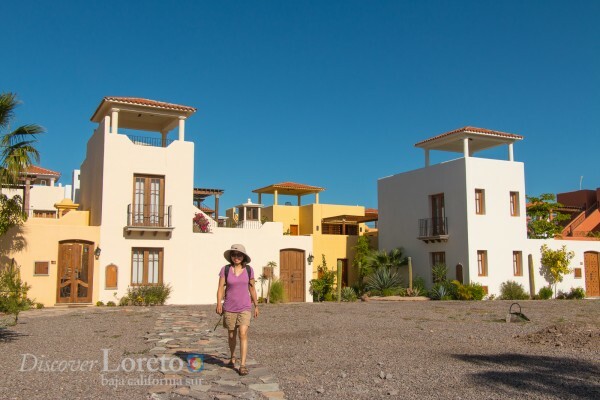 Now Loreto Bay is not only seeing an influx of new money for its charming casas (many which feature airy courtyards and viewing towers affording views of the Sea and nearby Sierra de la Giganta mountain range), but also enjoying the benefits of a resurgent local economy. Entrepreneurs such as Pedro Lopez especially remind of what can happen when locals work with visitors, the local governments and developers – all can benefit. Owner Pedro Lopez gives Loni Stark (of starkinsider.com) one of the most detailed and friendly, convenience store tours of all time. Poco a poco means wide selection, but limited volume. That way inventory can be kept fresh and evolve to meet the needs of local consumers. I can now walk a few hundred yards to pick up an emergency stash of hotdog buns. Not that’s there’s anything wrong with heading to town. But sometimes it’s nice, in a pinch, to spare the 40-minute round trip drive to the town of Loreto, and enjoy a sunny day hanging around the casa. Pedro says he’s running his new gourmet grocery and wine store (located on the Loreto Bay Paseo in Aqua Viva next to Dia’s Aqua Viva Management operation) “poco a poco” – in this case that means making the most of an impossibly small space. 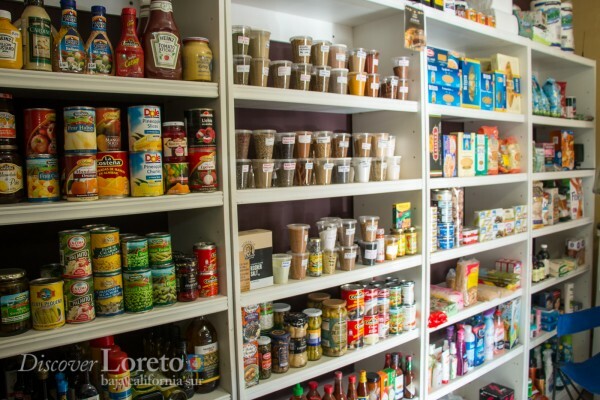 That it took about 30 minutes for a complete tour–virtually item by item–suggests that Pedro is making good on his promise to bring home owners in Loreto Bay convenience based on needs. Groceries, now just a short walk for home owners in Loreto Bay. 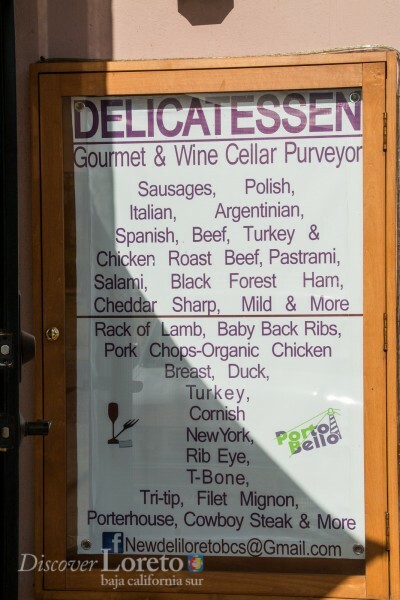 The “New Deli Loreto BCS” joins the likes of many locally owned businesses now popping up along the Paseo here in Loreto Bay, including: a pizzeria, general store, wine store, gourmet coffee shop, spa, clothing store, among several more. The original vision painted by the founding developers some ten years ago may finally be coming to fruition – in large part thanks to the incredibly well run home owners association (HOA), and the tireless contributions of gregarious, hard-working entrepreneurs such as Pedro Lopez. Poco a poco. It seems to be working. Owner Pedro Lopez with Loni Stark (starkinsider.com). 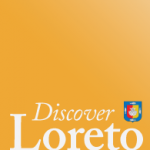 In Loreto, you quickly find yourself invited to pose with for a photo with the owner. 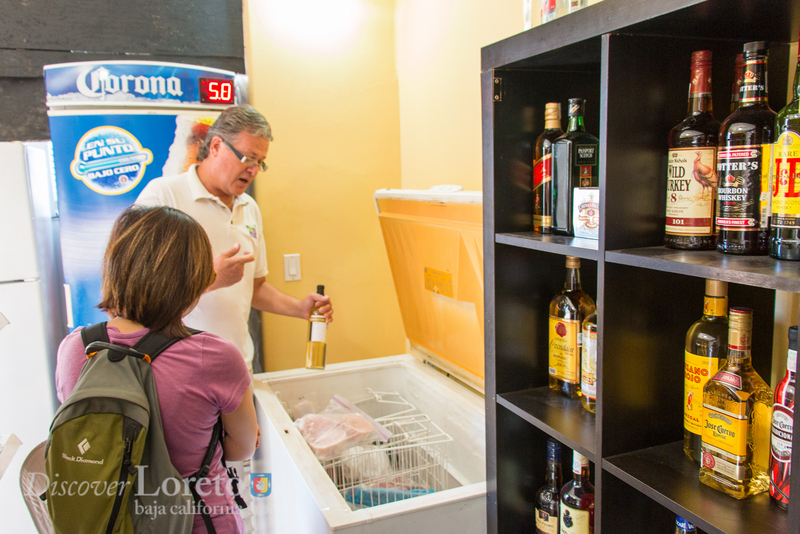 New Deli Loreto BCS: Gourmet & Wine Cellar Purveyor – now a few steps away for Loreto Bay homeowners. Selection surprises for such a small location. 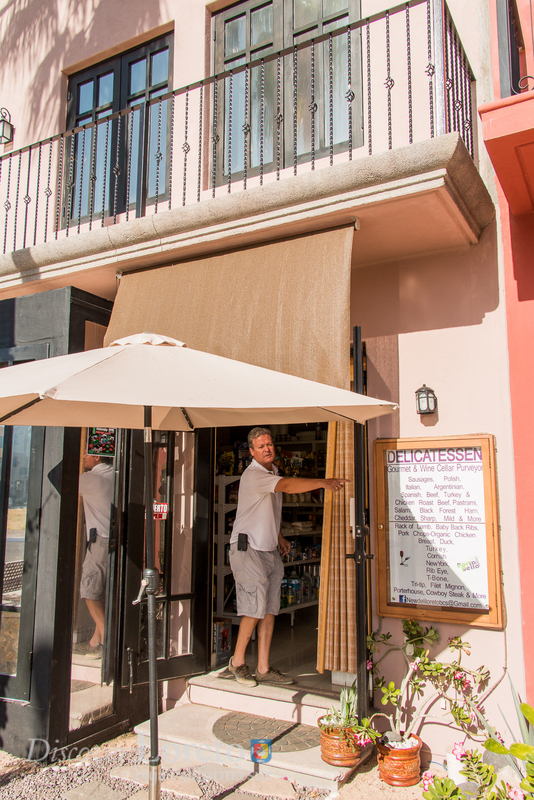 Pedro Lopez says he will make daily adjustments based on feedback, bringing various goods from his main location in downtown Loreto.